The stereotype of the cowardly Jew, though less prominent than the greedy Jew and the Jewish Bolshevik stereotypes in his discourse, was another feature in Chesterton’s antisemitic construction of “the Jew.” He argued that bravery and patriotism were foreign to the Jewish makeup. This antisemitic stereotype appeared in particular in 1917 and 1918. For Chesterton, the virtues of bravery, chivalry and patriotism were intertwined. That the Jews did not share these “Christian” qualities was, Chesterton believed, a point that should be understood, even excused, but certainly recognised. 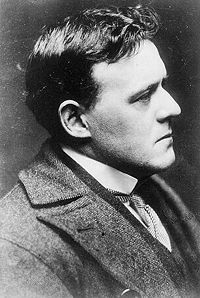 In an article on 11 October 1917, he stated that he felt “disposed to gibbet the journalist at least as much as the Jew; for the same journalism that has concealed the Jewish name has copied the Jewish hysteria.” According to Chesterton, “at least the wretched ‘alien’ can claim that if he is scared he is also puzzled; that if he is physically frightened he is really morally mystified. Moving in a crowd of his own kindred from country to country, and even from continent to continent, all equally remote and unreal to his own mind, he may well feel the events of European war as meaningless energies of evil. He must find it as unintelligible as we find Chinese tortures.” Chesterton claimed that he was inclined to “the side of mercy in judging the Jews,” at least in comparison to certain newspaper “millionaires.” He argued that a Jew with a gold watch-chain “grovelling on the floor of the tube” was not as ugly a spectacle as the newspaper millionaires who multiply their “individual timidity in the souls of men as if in millions of mirrors.” Chesterton was willing to accept that there were rare and exceptional Jews who won medals for bravery, but he was not willing to concede this to more than a small number of Jews. Such Jews, he argued, were rare, and so they should be honoured not merely as “exceptionally heroic among the Jews,” but also as “exceptionally heroic even among the heroes.” Chesterton concluded that it “must have been by sheer individual imagination and virtue that they pierced through the pacifist materialism of their tradition, and perceived both the mystery and the meaning of chivalry.” G. K. Chesterton, “The Jew and the Journalist,” At the Sign of the World’s End, New Witness, 11 October 1917, pp. 562-563. When later quizzed by Leopold Greenberg, the proprietor-editor of the Jewish Chronicle and the Jewish World, on 14 June 1918, as to whether he himself had witnessed Jews cowering in tube stations, Chesterton admitted that he had not personally witnessed this, but he argued that it was a matter of common knowledge. In an article on 21 June 1918, he stated that “the problem of aliens in air-raids is a thing that everybody knows.” He suggested that he could hardly be expected to go looking “for Jews in the Tubes, instead of going about my business above ground.” Chesterton concluded that if his affairs had led him into the Tubes during an air raid, he would probably have seen what others have reported, and the editor of the Jewish Chronicle and the Jewish World would no doubt have “refused my testimony as he refused theirs.” Somewhat patronizingly, Chesterton “excused” the Jew of his so-called cowardice during air raids, attributing it to the “psychological effect of a Gotha on a Ghetto”. He explained that he himself had “defended the Jew so situated; comparing him for instance to a Red Indian who might possibly be afraid of fireworks, to which he was not accustomed, and yet not afraid of slow fires, to which he was accustomed.” G. K. Chesterton, At the Sign of the World’s End, New Witness, 21 June 1918, pp. 148-149. See also “A Reckless Charge,” Jewish Chronicle, 14 June 1918, 4. Whilst Chesterton claimed that he was inclined towards mercy in judging cowardice, he was utterly unprepared to tolerate “pacifism”. Articles in 1917 and 1918 suggested that pacifism elevated cowardice to an ideal and denigrated bravery as a vice. 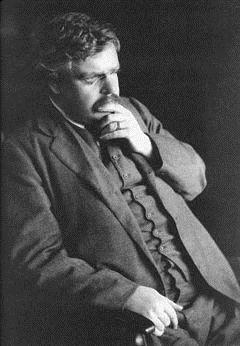 It is one thing, he argued, to “feel panic and call it panic,” quite another to “cultivate panic and call it patriotism.” Chesterton regarded “absolute pacifism and the denial of national service simply as morally bad, precisely as wife-beating or slave-owning are morally bad.” He directed some “words of advice” to the Jews. He stated that “in so far as you say that you yourself ought not to be made to serve in European armies, I for one have always thought you had a case; and it may yet be possible to do something for you, … If you say that you ought not to fight, at least we shall understand. If you say that nobody ought to fight, you will make everybody in the world want to fight for the pleasure of fighting you.” Referring to Jews, he stated that “if they talk any more of their tomfool pacifism to raise a storm against the soldiers and their wives and widows, they will find out what is meant by Anti-Semitism for the first time.” G. K. Chesterton, “The Jew and the Journalist,” At the Sign of the World’s End, New Witness, 11 October 1917, pp. 562-563 and G. K. Chesterton, “The Grand Turk of Tooting,” Sign of the World’s End, New Witness, 25 October 1917, pp.610-611. The reality is that during the First and Second World Wars, Anglo-Jews signed up for the armed forces with great enthusiasm. Despite this, Chesterton was not alone in embracing this antisemitic stereotype. As Tony Kushner (1989), Professor of the History of Jewish/non-Jewish Relations at the University of Southampton (and director of the Parkes Institute), has rightly stated: “On pure statistical grounds there was again no basis for the Jewish war shirker image to come about. To explain its pervasive appeal one has, as usual, to examine the past Jewish stereotype. The most significant aspect in this respect was the combined image of the cowardly and non-physical Jew.” Kushner explains that “the combined image of Jews as weak, cowardly, alien and powerful were all strongly ingrained in the public mind. Indeed the strength of such imagery is highlighted by the experience of Jews in the British Forces during the Second World War. As was the case in the 1914-18 conflict, a disproportionate number of Jews joined the Forces – 15% of Anglo-Jewry or 60,000 men and women compared to 10% of the population as a whole.” Tony Kushner, The Persistence of Prejudice: Antisemitism in British society during the Second World War (Manchester: Manchester University Press, 1989), 122-123. 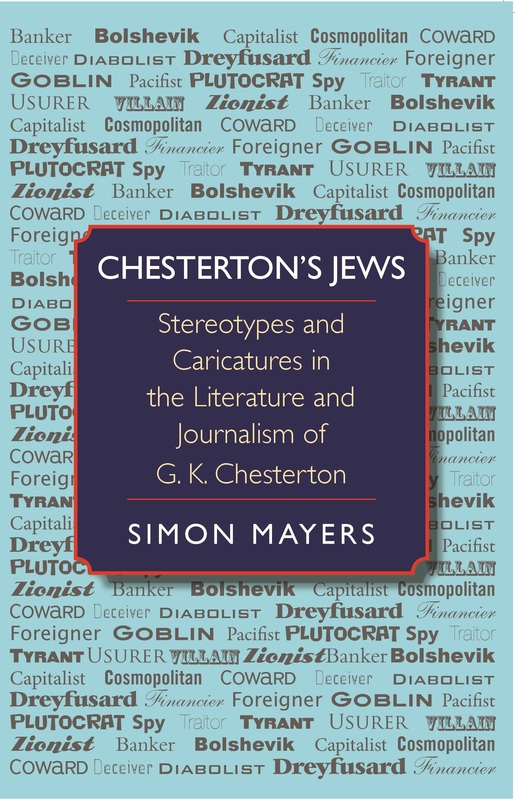 For more on this and other stereotypes and caricatures in Chesterton’s discourse, please see my recent book, Chesterton’s Jews: Stereotypes and Caricatures in the Literature and Journalism of G. K. Chesterton. In a previous report I looked at the stereotype of the so-called greedy Jew in G. K. Chesterton’s fictional and journalistic discourse. In this report I will look at the stereotype of the “Jewish Bolshevik” in his discourse. In his essay on G. K. Chesterton’s so-called “philosemitism,” William Oddie argues that Chesterton could not have been an antisemite because on a number of occasions he defended Jews from antisemitism . William Oddie presented a diary entry, dated 5 January 1891, which stated that Chesterton felt so strongly about some vicious acts of cruelty to a Jewish girl in Russia that he was inclined to “knock some-body down”. He also quotes from letters by Chesterton’s alter-ego, Guy Crawford (under which name Chesterton published a series of letters). These were printed in the Debater, the magazine of the “Junior Debating Club,” in 1892. In these letters, Crawford discusses his plans to go to Russia to help “the Hebrews” suffering in pogroms. As William Oddie observed, the series of letters ends with “Guy Crawford” siding with a revolutionary mob in St. Petersburg, and leaping to the defence of a Jewish student. The student, who was killed in this fantastical account, was described by Crawford as “a champion of justice, like thousands who have fallen for it in the dark records of this dark land” . These examples probably provide a fair reflection of Chesterton’s late teenage attitudes. However, his worldview, as with most people, changed over time. An example of his developing worldview can be seen in The Napoleon of Notting Hill (1904). According to William Oddie, in this novel, Chesterton expressed “distaste for modernity and progress.” He quite rightly points out that this distaste was “a recent volte-face” . This was not however the only volte-face in Chesterton’s worldview and discourse. He also changed his views about the Jews. A relatively early and partial manifestation of this volte-face can be found in his novel, Manalive (1912), which reflected his worldview no less than the letters of Guy Crawford. According to the narrator of the story, “wherever there is conflict, crises come in which any soul, personal or racial, unconsciously turns on the world the most hateful of its hundred faces.” In the case of Moses Gould, the Jew in the novel, it was “that smile of the Cynic Triumphant, which has been the tocsin for many a cruel riot in Russian villages or mediaeval towns” . As Cheyette has observed, the construction of the Jew as “innocent victim” seems to have been replaced in Manalive by the Russian Jew’s so-called “racial failure to go beyond his ‘cynical’ rationality” . The transition from innocent victim in Russia to arch-cynic in Russia was only a partial volte-face. The complete volte-face would come later in the early 1920s, when Chesterton started to claim that the Jews were persecuting Russians. His narratives about the Jewish tyrant were intertwined with stereotypes about the Jewish Bolshevik. For example, in February 1921, Chesterton observed that there was once “a time when English poets and other publicists could always be inspired with instantaneous indignation about the persecuted Jews in Russia. We have heard less about them since we heard more about the persecuting Jews in Russia” . He repeated this narrative about how it was once observed that it was the Jews who were persecuted in Russia, and now it is the Jews who persecute Russians, in What I Saw in America (1922). He stated that “we used to lecture the Russians for oppressing the Jews, before we heard the word Bolshevist and began to lecture them for being oppressed by the Jews” . There were of course many Jews who were sympathetic towards Socialism and Bolshevism, just as there were many non-Jews who were sympathetic towards Socialism and Bolshevism. 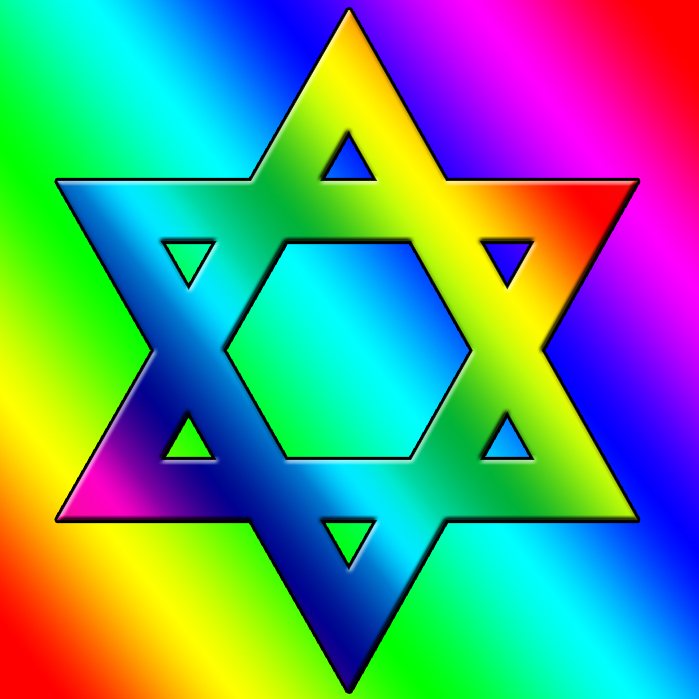 There were also many Jews who were antagonistic towards Bolshevism, and it was in no sense a Jewish movement. Chesterton did at least recognise that not all Jews were Bolsheviks, but he claimed that those who were not Bolsheviks were instead rich capitalists. Capitalism, he believed, was merely the other side of Communism. Despite acknowledging that not all Jews were Bolsheviks, he nevertheless painted a picture of Bolshevism as a specifically Jewish movement. For example, Chesterton stated in January 1921 that a study by H. G. Wells contained a “touch of an unreal relativity” when it came to “the Jewish element in Bolshevism.” Wells had observed that whilst many of the Russian exiles were Jewish, there were some who were not Jews. As he had on many other occasions, Chesterton conversely rejected the idea that Jews could be Russians. He clarified that the exiles were Jewish as there were “next to no real Russian exiles.” More significantly, he stated that “it is not necessary to have every man a Jew to make a thing a Jewish movement; it is at least clear that there are quite enough Jews to prevent it from being a Russian movement” . He made a similar claim in August 1920: “There has arisen on the ruins of Russia a Jewish servile State, the strongest Jewish power hitherto known in history. We do not say, we should certainly deny, that every Jew is its friend; but we do say that no Jew is in the national sense its enemy” . In June 1922, Chesterton expressed his hope that “some day there may be a little realism in the newspapers dealing with public life, as well as in the novels dealing with private life.” He stated that on that day, “we may hear something of the type that really is Bolshevist and generally is Jewish.” In addition to the type that becomes “an atheist from a vague idea that it is part of being a revolutionist,” there was “another type, less common but more clear-headed, who has really become a revolutionist only as part of being an atheist.” According to Chesterton, it was pointless to question this “special sort of young Jew” who exhorted the poor to attack the priest even though the priest was even poorer than they were, because “it was only in order to attack the priest that he ever troubled about the poor.” Chesterton concluded that this type of Jew “knows his own religion is dead; and he hates ours for being alive” . Referring to Dr Oscar Levy, a prominent Jewish scholar of Nietzsche, Chesterton stated that: “He is a very real example of a persecuted Jew; and he was persecuted, not merely by Gentiles, but rather specially by Jews. He was hounded out of this country in the most heartless and brutal fashion, because he had let the cat out of the bag; a very wild cat out of the very respectable bag of the commercial Jewish bagman. He told the truth about the Jewish basis of Bolshevism, though only to deplore and repudiate it.” However, in response, Oscar Levy promptly wrote to Chesterton, pointing out that he was not driven out of England by Jews at all, and that the Jewish Chronicle and Jewish World had supported him against the decision by the Home Office. Furthermore, Levy argued that Bolshevism was more closely related to Christianity than to Judaism. The idea that the Anglo-Jewish community pulled the strings of the Home Office to arrange for Levy to be removed from Britain was simply a Bellocian and Chestertonian antisemitic invention . Chesterton never abandoned the myth that Bolshevism was a Jewish movement. For example, whilst criticising “Hitlerism” in 1933, he asserted that the Jews “fattened on the worst forms of Capitalism; and it is inevitable that, on losing these advantages of Capitalism, they naturally took refuge in its other form, which is Communism. For both Capitalism and Communism rest on the same idea: a centralisation of wealth which destroys private property.” And referring to Jews in his autobiography, he stated that “Capitalism and Communism are so very nearly the same thing, in ethical essence, that it would not be strange if they did take leaders from the same ethnological elements” . 1. William Oddie, “The Philosemitism of G. K. Chesterton,” in William Oddie, ed., The Holiness of G. K. Chesterton (Leominster: Gracewing, 2010), 124-137. 2. William Oddie, “The Philosemitism of G. K. Chesterton,” 127-128; William Oddie, Chesterton and the Romance of Orthodoxy: The Making of GKC, 1874-1908 (Oxford: Oxford University Press, 2008), 80-81. The diary entry for 5 January 1891 can be found on page 24 of notebook (1890-1891), ADD MS 73317A, G. K. Chesterton Papers. The letters can be found in G. K. Chesterton [Guy Crawford, pseud. ], “The Letters of Three Friends,” Debater III: no.13 (March 1892), 9-11; no.14 (May 1892), 27-29; no.17 (November 1892), 70-71. The letters were published in 1892, not 1891 as William Oddie suggests. 3. William Oddie, Chesterton and the Romance of Orthodoxy: The Making of GKC, 1874-1908, 8. 4. 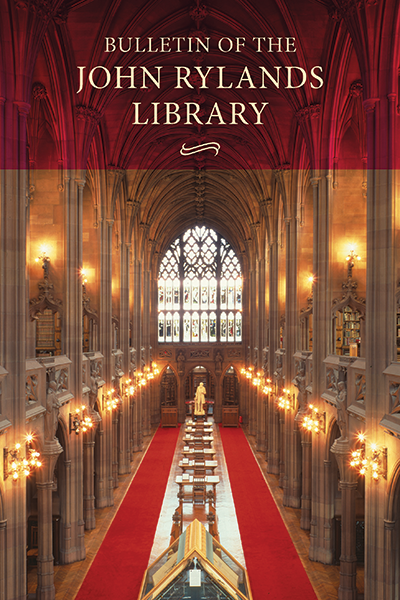 G. K. Chesterton, Manalive (London: Thomas Nelson, 1912), 289. 5. See Bryan Cheyette, Constructions of “the Jew” in English Literature and Society: Racial Representations, 1875-1945 (Cambridge: Cambridge University Press, 1993), 192. 6. G. K. Chesterton, “The Statue and the Irishman,” New Witness, 18 February 1921, 102. 7. G. K. Chesterton, What I Saw in America (London: Hodder and Stoughton, 1922), 142. 8. G. K. Chesterton, “The Beard of the Bolshevist,” New Witness, 14 January 1921, 22. 10. G. K. Chesterton, “The Materialist in the Mask,” New Witness, 30 June 1922, 406-407. 12. G. K. Chesterton, “The Judaism of Hitler,” G.K.’s Weekly, 20 July 1933, 311 and G. K. Chesterton, Autobiography (London: Hutchinson, 1936), 76.